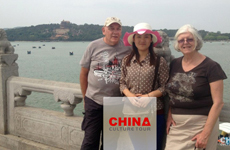 ﻿ Best China Tours for Seniors, Seniors Tours of China. 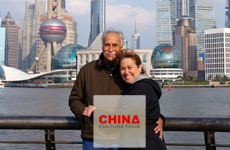 China Culture Tour has more than 12 years of experience organizing Chin local tours for seniors and elderly couples over their 60, 70 and even over 80 years old abroad. 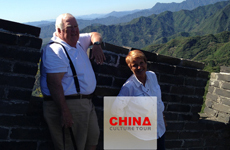 Our team has researched the unique needs of senior travelers in China and has the expertise to customize a most suitable luxury China travel package that will cater to every need. We select only the most central, comfortable and luxury or boutique Chinese style hotels available in each city and organize accessible selected sightseeing, experienced and sympathetic local guides, drivers and suitable local restaurants those offer a la cart menu. Our senior travelers are given our promise of understanding service at each stage of their trip and are made to feel welcome and totally at home. We highly recommend that seniors should avoid group organized tour packages. Such larger groups may not afford the comfort and more leisurely pace of travel that would better suit senior travelers. A group tour means sharing a vehicle and guide and is organized in a strict time frame. Your meal times are inflexible and seating is generally ad hoc. 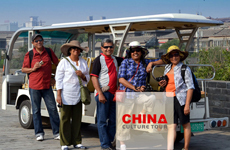 Although the cost of a group organized tour is generally somewhat lower, we suggest our clients make detailed comparisons with CHINA CULTURE TOUR suggestions, as we we can offer significantly better dollar for dollar value to the discerning travelers. A Private China Tour Package is Recommended to Seniors because it ensures the "freedom from care" that we know is important to them. We provide a more relaxed China tour itinerary, it will be more flexible and tailored according to the mobility level of each traveler with or without wheelchair. Specific dietary requirements can be catered for and complete comfort and flexibility are guaranteed. Each tour adviser, guide and vehicle is selected with rigorous attention to detail. Our "No Hidden Costs" policy has been adhered to for several years. Our Letter of Quotation for a China Culture Tour package lists all inclusions and exclusions clearly. Our price includes transfers, luggage handling, accommodation, government taxes, fuel surcharges etc. » What Is A Private Tour? Tips: You are not limited to the tour routes mentioned above, you can customize your China tour flexibly by adding the following cities to your itinerary such as Tibet, Datong-Yungang Grottoes, Pingyao, Chengdu-Giant Pandas, Guilin and Hong Kong etc.